Known as MSi, MSI is a Taiwanese multinational information technology corporation located in Taiwan. It designs, develops and provides computer hardware, related products and services, including laptops, desktops, motherboards, graphics cards, All-in-One PCs, servers, industrial computers, PC peripherals, car infotainment products, etc. 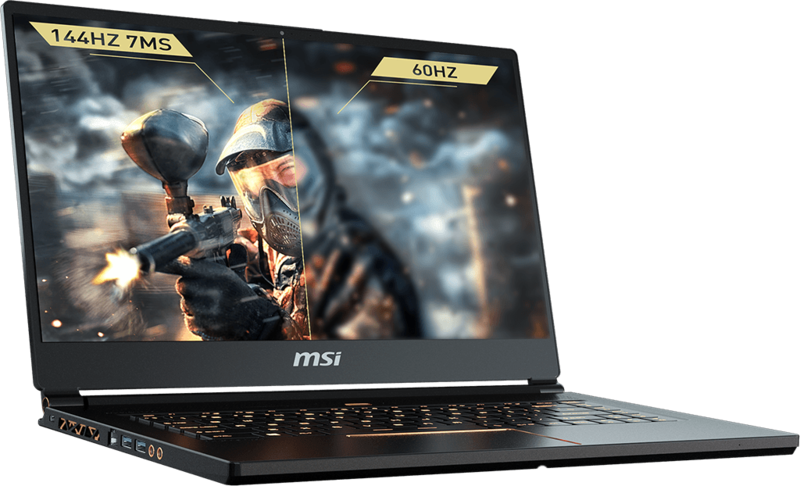 The MSI GS65 Stealth is an ultraportable 15.6-inch laptop with thin gaming display and a brand new premium design. It can maximize the vision. It contains 1st-ever Hexa Core notebook processors with boosted experiences. GS65 fulfill your diverse portability needs. The latest battery of this beast can stand upto 8 hrs. straight without any disturbance for your gaming experience. With DDR4-2400 memory support you can run any game you like in max. quality available. 4K res is also available. So enjoy as much as you can with this gaming piece by MSi.